We have a great selection of new and old furniture in our 2 shops in Lightfoot. 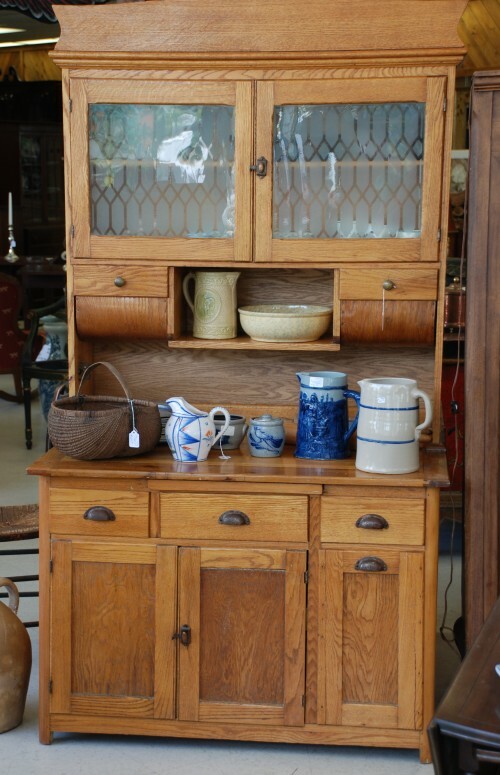 Come see this great old oak kitchen cupboard at the shop with Antiques on the front. The one 3 doors down has Charlie’s on the front so that is how we distinguish one from the other! Along with the 2 top glass doors it has 2 pull down flour bins which would be great for a country kitchen. Vintage 17 Ft. Wood and Canvas Canoe Grand Opening of new shop!